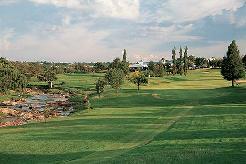 Houghton Golf Course is centrally situated in Johannesburg's wealthy suburb of the same name and it has hosted eight South African Opens since the Second World War. Gary Player won three of his 13 South African Opens at this leafy, parkland course, while Ernie Els set a 15-under-par record score of 273 here in the same tournament in 1993, this victory opened the door for his entry onto the world golfing stage. 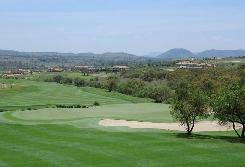 Houghton received a rare honour in February 1995, when it was chosen to host the inaugural Alfred Dunhill Challenge between southern Africa and Australasia, the southern hemisphere's equivalent to the Ryder Cup. At 5237 metres, Houghton is not an overly long course by highveld standards, as the ball flies a long way in Johannesburg's high altitude. But short does not always translate into easy, and some exciting tee shots and approaches are required if you are attempting to master the holes. 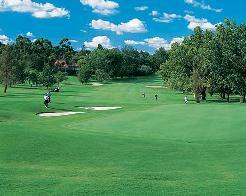 The predominant grass is Kikuyu, which when closely mown provides a truly magnificent surface from which to play. Houghton is renowned for its conditioning and a wealth of wonderful par-four holes.